BRISBANE, QLD. (March 13, 2013) – Select Genie® boom lifts now feature extended replacement intervals for boom extend/retract cables. The required replacement period has been increased to 10 years - three years longer than the previously accepted industry standard of seven years. Replacement of the boom extend/retract cables is essential to good machine performance and safe machine operation. 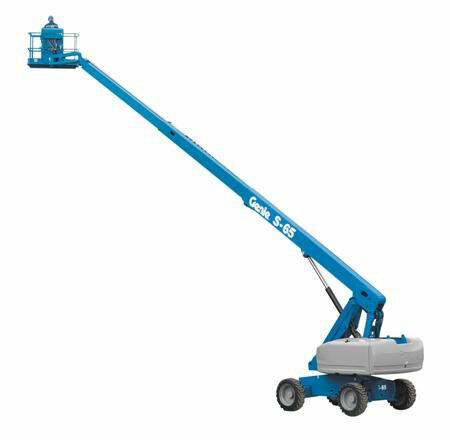 Service changes apply to the entire Genie® S™-60/S-65 and S-100 through S-125 model families. The extended replacement interval applies to all current and previously produced versions of these models. Related service changes are represented in the most current Service Manuals provided by Terex AWP, manufacturer of Genie brand equipment. The boom extend/retract cables are responsible for the extension and retraction of the number 3 boom tube. It is important to note that, in addition to the new mandatory 10 year cable replacement, regular inspection and proper adjustment of the boom extend/retract cables remains essential to good machine performance and safe machine operation for the life of the machine. The boom extend/ retract functions should operate smoothly and be free of hesitation, jerking and unusual noise. More information is available in the Service & Maintenance section or by contacting Genie Technical Support. Genie Service Centers continue to offer quality support for boom extend/retract cables and all other standard services.